“Water is life”. It’s a unique natural resource that is essential for life on Earth. No lifeform can be sustained without water on this planet. Humans can survive for a few weeks without food but only 3-4 days without water. Water is also essential for all the important activities of human beings such as food production, energy generation, manufacturing and many more. It plays a critical role in economic development and the general well-being of the country. It is believed, that due to the importance of water and the fact that it is getting more and more difficult to get access to, the next major war could very well be fought over this once plentiful resource. India is endowed with a rich and vast diversity of natural resources, water being one of them. Its development and management plays a vital role in the country’s development. Integrated water management is vital for poverty reduction, environmental sustenance and sustainable economic development. 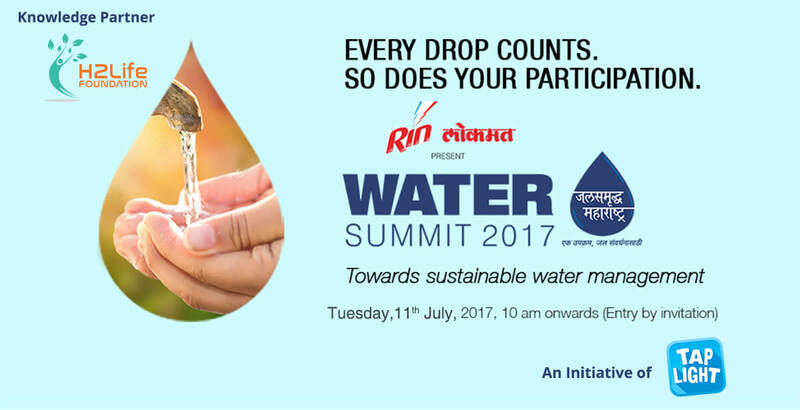 To generate awareness on this major issue, Lokmat is organizing Water Summit on Tuesday, July 11 2017 in Mumbai. Lokmat Water Summit will be an annual forum where all the concerned stakeholders will discuss key strategies for conservation, preservation and optimum use of available water.